As much as I like to have new food experiences, sometimes “same old same old” is just fine with me. That’s completely my mentality when I make my yearly visit to the PNE Fair. This past weekend, I had an impromptu visit to the fair on the way to the Beach Boys/Bryan Adams concert which I was attending as a last-minute invite. Fortunately I hadn’t eaten anything all morning, so when I got there at noon I was starving. First stop Hunky Bills. 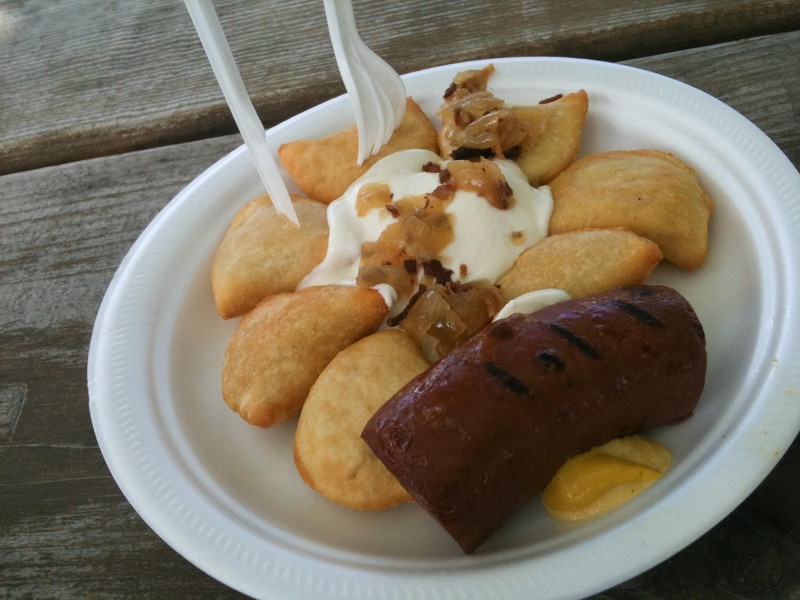 Probably a mistake because perogies are so filling! Looking back now, I think $11 is way too much to spend on 9 perogies and a 1/4 of a garlic sausage. 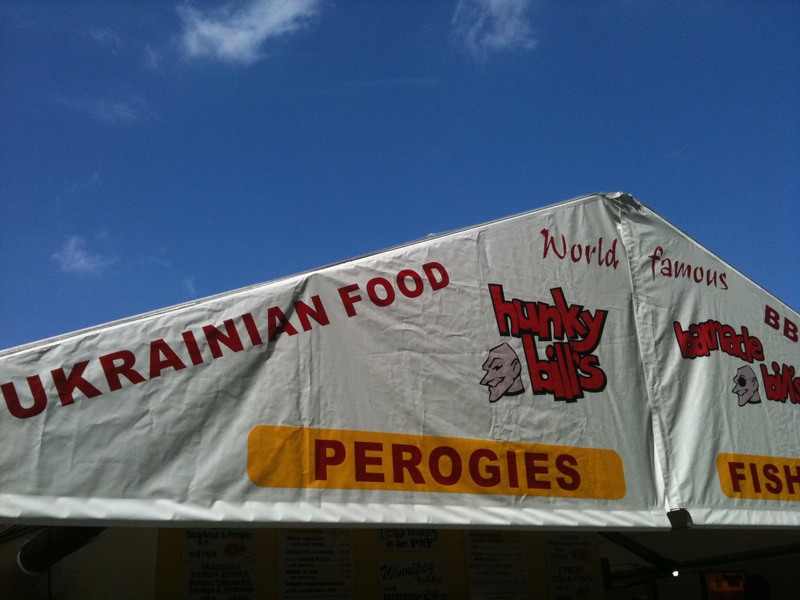 But since I rarely eat perogies outside of the PNE , I can’t not get this. I really wanted to grab a bag of mini donuts before the concert, but I was stuffed. 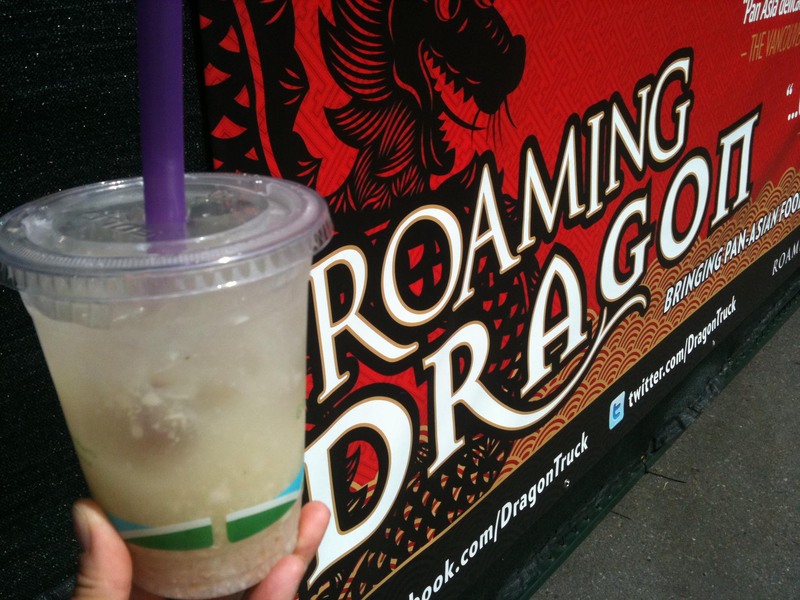 It was a hot afternoon though, and I noticed this new stand, and then realized that it was the same Roaming Dragon food truck that I’ve been hearing so much about. Lychee basil lemonade was refreshing on a hot summer Saturday and the texture from the chunks of lychee were reminiscent of a bubble tea! After the concert, which was so much fun, I had a bit of room to stuff in a couple more favorites. This is hands down my favorite fair food. 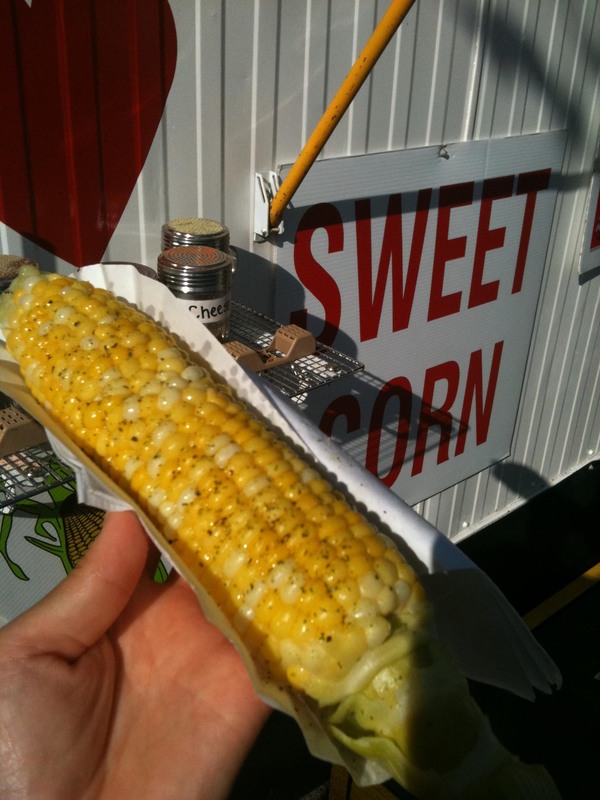 Sweet Chilliwack corn on the cob dipped in butter. The corn is never too meaty, always sweet and pops with each bite. Although I was full beyond belief, I still had to get a Fisher scone on my way out. 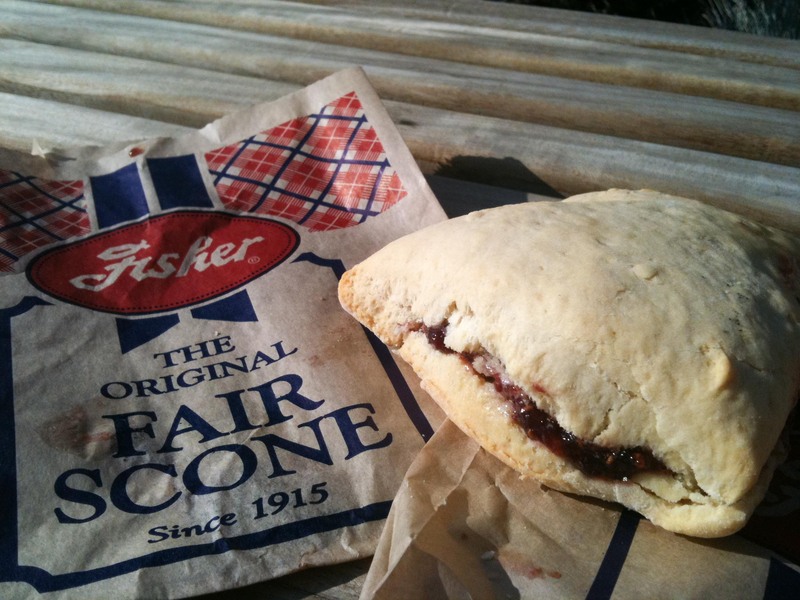 Filled with raspberry jam and way too much butter, the Fisher scone is my earliest memory of the PNE. I regretfully admit that I did not have enough in me to eat the BBQ chicken, a burger from Jimmy’s or a root beer from the barrel. Well, there’s always next year! Next PostNext NYC – Meatballs!